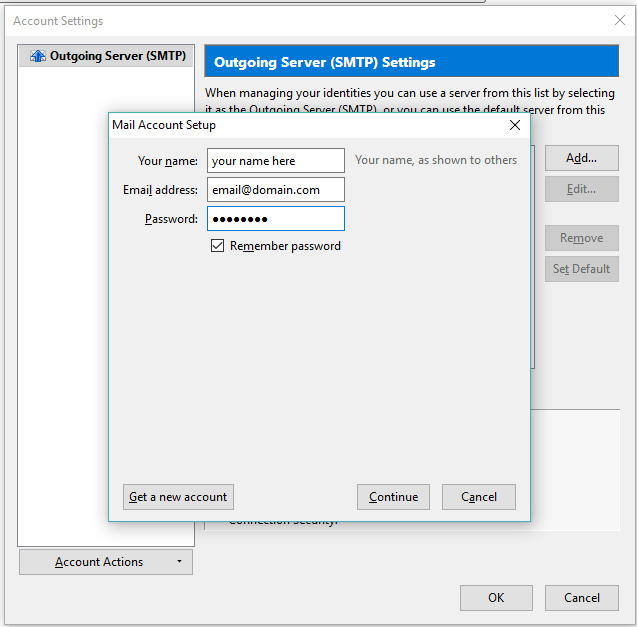 To configure manually your email accounts with Mozilla Thunderbird first open the program on your computer. 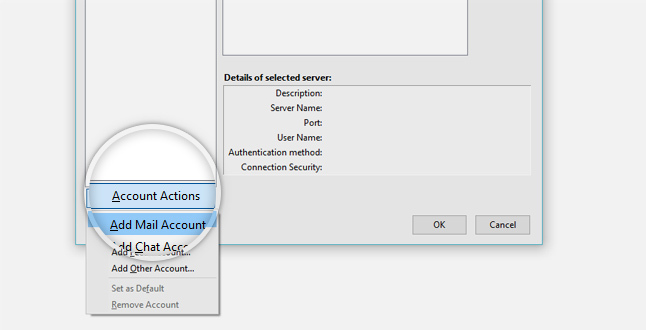 Then click the Tools tab -> Account Settings. 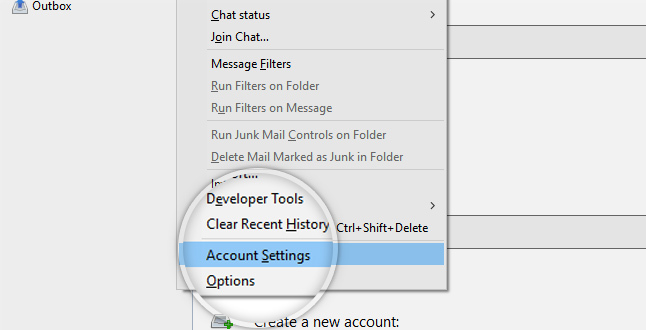 From the new window press the Account Actions button, then Add Mail Account account. Enter your name as you would like it to appear in the Your name: field for all outgoing messages and the email address which the others will use to send email messages to you. Also provide the password for the email account. Click Continue. 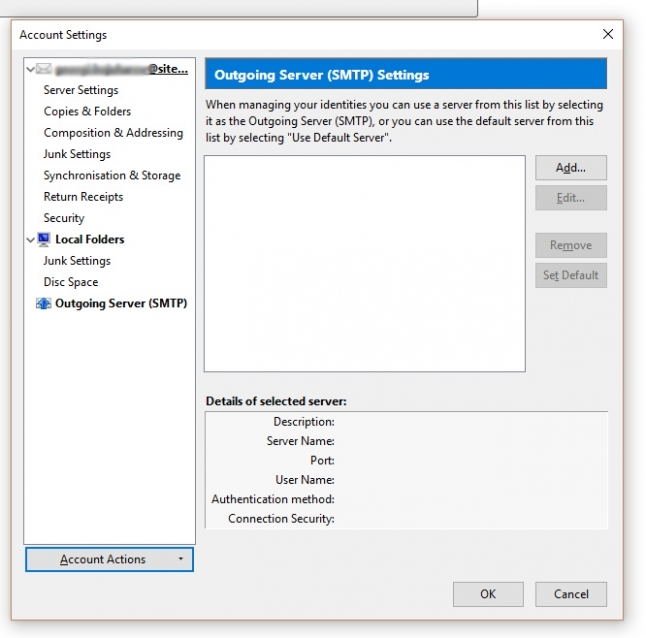 Set the incoming and outgoing options to be of type IMAP. The server hostname option is mail.yourdomainname.com where yourdomainname.com is your actual domain. Leave the port option to Auto. For SSL and Authentication select Autodetect. 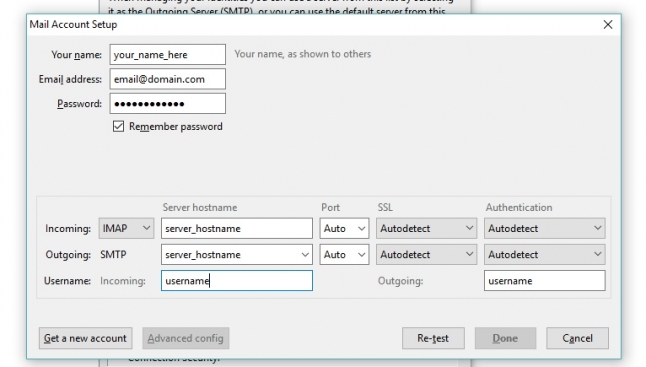 Then set Username to your full email address (i.e email@domain.com) for both incoming and outgoing. When ready, click the Re-test button so that Thunderbird can test if the settings are correct. If you have configured everything correctly, the Done button should be come available. Click it and your email address will be added to your Thunderbird and you can start managing your emails.